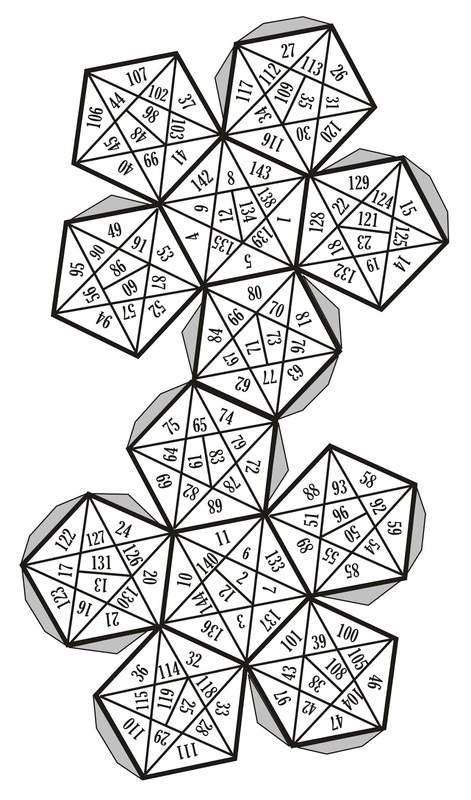 Finally...the corrected version of the Mazzaloth Polyhedral Qamea. Please refer to my earlier post of 9/23/11 to see why it had to be updated to this version. Apologies for the long hiatus. 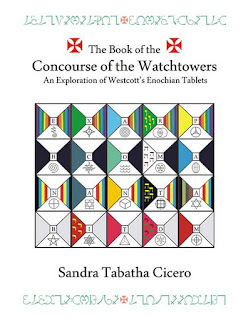 I've been busy working on my Concourse of the Watchtowers book which is nearly finished. I will have more details soon. In the meantime, here is my draft of the cover. A few years back, Saturday Night Live did a skit called "The Trivial Psychic" wherein Christopher Walken revived the same character he played in the movie The Dead Zone. But in addition to being a reluctant psychic, he got visions of things that were small and unimportant: he couldn't tell people when disaster was about to strike, but he was able to tell them things like "your housekeeper is annoyed right now because she just washed the floor and your daughter is leaving footprints on it." He was the Trivial Psychic. There are times when gaining clairvoyant skills enhanced through the practice of magic feels like just that—like you are turning into the Trivial Psychic. Every vision is not necessarily an earth-shattering event. Many visions, though spot on, may simply be about inconsequential events. As a double Taurus, I don't consider myself inherently more or less psychic than the next person. Skills involving greater psychic awareness don't come naturally to me, and like the vast majority of magicians, I have to work hard at it to make headway. I am also stubbornly skeptical by nature: I always test my skryings and other astral workings with the standard GD methods. Even then I take nothing for gospel. I don't accept the literal, physical (as opposed to symbolic) truth of a vision just on faith alone. I never wanted to become what Israel Regardie used to call a "cosmic foo-foo." If a vision, divination, or other astral working passes all my tests and exhausts all attempts by my rational mind to find a mundane explanation for it, then I will consider it a true psychic hit, not before. I have experienced a number of what I consider psychic "hits." Some of these were very important hits. Others, which passed all my tests, were simply splendid examples of psychic trivia. My most important psychic "hit" came in February 1985 when we were living in Georgia. I had an overwhelming feeling that we had to get to Sedona as quickly as possible to see Regardie. Although Chic had visited Regardie several times, I had never met him before. There was a urgent alarm going off in my head—a feeling that if I didn't meet Regardie very, very soon. It would be too late. I was in my mid-20's at the time and such pressing thoughts about the mortality of others was just not something I had ever experienced before. We drove from Columbus, Georgia to Regardie's home in Sedona, Arizona. All the while I felt like we were racing against the clock—that Regardie would soon leave us. The feeling would not go away, no matter how many times I told myself that there was no logical reason for my fear. We stayed with Regardie for a week and then left for Scottsdale. We did not intend to go back to Sedona, but as a result of a purely unplanned, unexpected, and unexplained event (one of those "graceful synchronicities" so typical of magic), we ended up back in Sedona visiting Regardie for another week. After we finally left Arizona, Regardie died ten days later. Everything about the incident tells me that this was a psychic "hit"—a very important one at that. I will always be eternally grateful for having had the opportunity to meet Regardie. It probably changed the course of my life. I have also had experiences with "hits" that definitely fall under the category of psychic trivia: We were driving to the grocery store one day and it occurred to me that I had forgotten my grocery list. An utterly ridiculous curse word formed in my mind—"Oh, Chicken farts!" I thought to myself. Chic was driving and he turned to me with a curious look on his face. "Chicken farts?" he asked. It is an absolute fact that I had not uttered a word, and yet Chic had heard my mental exclamation. Try as I may, I can find no rational explanation for it. It was a true psychic hit—albeit a trivial and patently absurd one. This is just one example of the kind of frivolous psychic "hits" that magicians have on a regular basis. The knowledge they confer may seem downright stupid, but they also serve an important function. They serve to remind us that psychic gifts come in many forms—sometimes they are urgent and transformative. Other times they serve to remind us that such magical abilities are very possible, even if they remain a rare occurrence. It is as if the Divine simply wants to show us skeptics, through visions of events that have no importance, that magic is indeed a real, potent, enigmatic force. These events are magical "carrots" used to give us a glimpse—a sliver or whisper—of what is possible if we persevere in our studies. I also believe that we receive these "minor" visions more often than the important visions so that we remain humble and don't automatically assume that we have become the world's "Greatest Prophet." I think they are built-in protections against ego-inflation as well as indications that the Divine has a sense of humor. If some of our best psychic "hits" make us laugh, then there is less of a chance that we will take ourselves so seriously that we lose sight of our spirituality in the quest for psychic "powers." Sometimes you get life-changing visions. Sometimes you just get chicken farts. It is useful to remember that most books, even sacred books, contain errors. As magicians we are taught to examine everything with a discriminating eye. So we should not be surprised to find mistakes that have crept into treasured magical grimoires -- mistakes that have also found their way into the teachings of the Golden Dawn. One such example is the name Khamael: the Archangel of Geburah, whose name means "the Severity of God". Khamael is the protector of the wronged -- the Avenging Angel who pursues those who break both human and universal laws. He is associated with Divine justice and severity. Khamael is sometimes called "The right hand of God" -- meeting out justice in order to restore a state of balance throughout the Tree of Life. He controls the aspects of burning and destroying in order to purify and preserve. William Grey erroneously stated that the root of this name was khab, which meant to suffer, to feel pain or make war. However, the original Archangel of Mars was Samael -- a name that MacGregor Mathers changed to Zamael in order to avoid connotations with the Qliphotic Samael. When the Qabalists began to assign Archangels to the Sephiroth, someone attributed a list of Planetary Archangels to their corresponding Sephiroth, and the martial Samael was naturally assigned to Geburah. 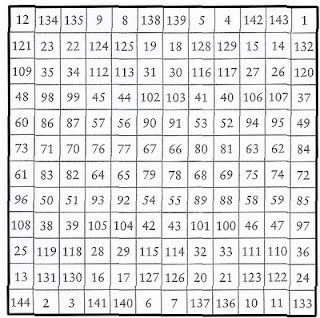 At some point this list was copied into Greek. In late Greek writing, the letter Sigma (the first letter in Samael) came to be drawn in the shape of a "C." Still later, when the Greek list was copied into Latin, the copist made the error of transliterating the Greek name of CAMAHL as "Camael" rather than "Samael." Even later, someone (perhaps a member of the Golden Dawn) back-transliterated Camael as kaph mem aleph lamed and thus was Khamael born. And although it originated as an error in transliteration, it does help magicians destinguish between Samael, Archangel of Evil, Zamael, Archangel of Mars, and Khamael, Archangel of Geburah. Other mistakes: The name of the Archangel of Venus, Anael, has often been wrongly given as Hanael through confusion with Haniel, Archangel of Netzach. The name of the Archangel of Sagittarius, Adnakhiel, has been frequently misspelled as Advakhiel, through a scribal error mistaking Hebrew Nun for Vav. The same error also occurred in Renaissance Latin typesetting, where the n of Adnachiel could easily be set upside-down as a u, producing Aduachiel. Finally, the correct name of the Angel of Elemental Fire is Ariel ("the Lion of God"), not Aral. An error in Agrippa was long perpetuated in the Golden Dawn manuscripts, in which the two names Ariel and Aral were swapped. This confusion was perpetuated because the four Rulers of the Elements have generally not been recognized as the names of Orders of Angels. Seraph, Cherub, Tharsis, and Aral (Erel) are simply the singular forms of Seraphim, Kerubim, Tarshishim, and Erelim. There has also been a lot of confusion regarding the Divine Hebrew names that are to be painted on the Four Elemental Weapons of the Zelator Adeptus Minor. According to Wang's book The Secret Temple, the names on the implements are: Earth Pentacle -- Adonai ha-Aretz, Air Dagger -- Shaddai E Chai, Water Cup -- Elohim Tzabaoth, and Fire Wand -- YHVH Tzabaoth. These are the Divine names given in the Outer Order Grade Ceremonies relating to the Sephiroth of Malkuth, Yesod, Hod, and Netzach, which also have elemental associations. However, the correct Divine Hebrew names of the Elements for the Inner Order are actually given in the consecration rituals of these same implements (see Regardie, The Golden Dawn, 324). They are: Earth Pentacle -- ADONAI, Air Dagger -- YHVH, Water Cup -- EL, and Fire Wand -- ELOHIM. These are the Divine names intoned in the SIRP and they relate to the Sephiroth of Malkuth, Tiphareth, Chesed, and Geburah. They are also the Divine names that should be painted on the four elemental weapons of the Z.A.M. (Kathleen Raine's book Yeats, The Tarot, and the Golden Dawn shows a picture of William Bulter Yeats' Earth Pentacle inscribed with the Divine Name Adonai -- not Adonai ha-Aretz. 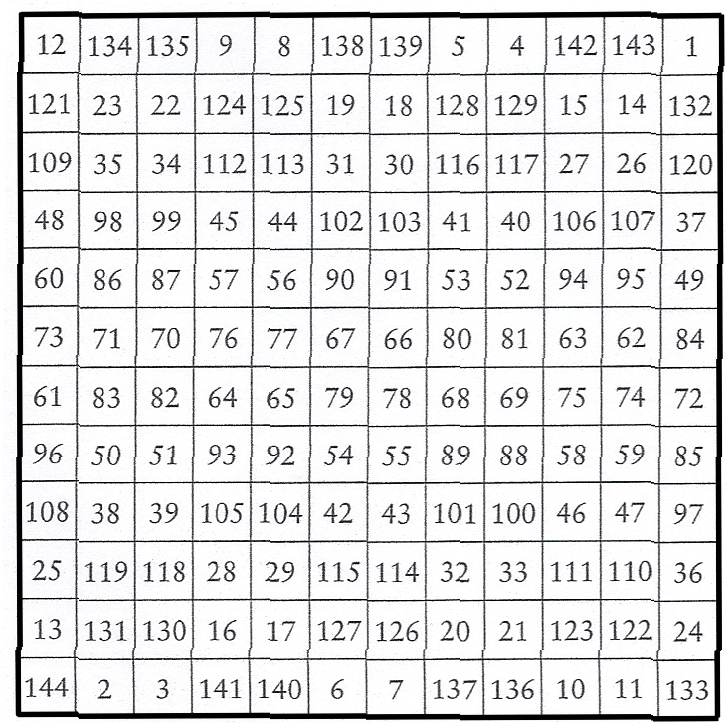 "Seven is the height above, seven is the depth beneath." Apocalyptic movies starring Christopher Walken notwithstanding, the number seven is very important in esoteric lore. Hippocrates tells us: “The number seven, because of its occult virtues, tends to bring all things into being. It is the dispenser of life and the source of all change.” This is confirmed in the Golden Dawn’s teachings wherein the number seven, corresponding to the planet Venus, is the gateway to initiation—as the Venus wall is the actual doorway into the seven-sided Vault of the Adepti. 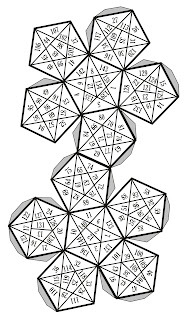 Not only does the number seven correspond to the seven planets of the ancients, it also corresponds to the Seven Palaces of Assiah. 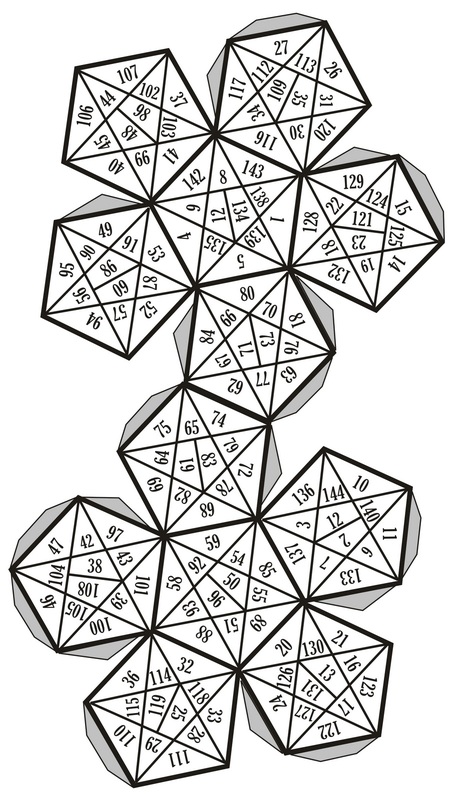 The Golden Dawn's diagram of the Seven Palaces of Assiah provides magicians with an important tool—a way to divide the ten Sephiroth of the Tree of Life into seven sections which can then be assigned to the seven planets. 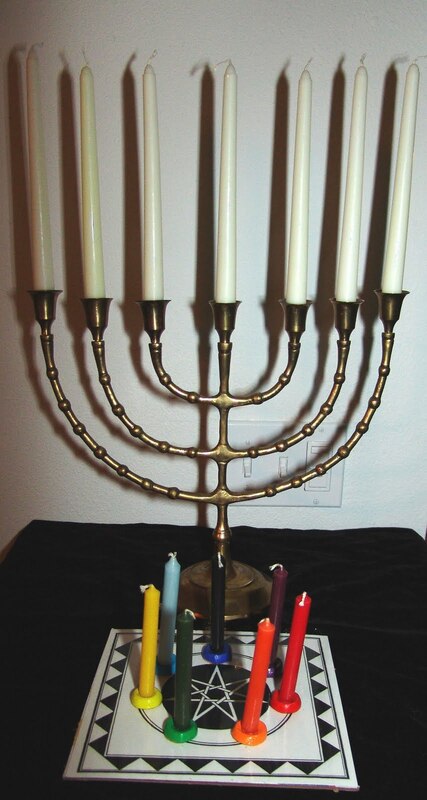 Golden Dawn students are made aware of the importance of the number seven in a beautiful description of the Seven-branched Candlestick or Menorah in the Zelator Grade. And it is this description which inspired a ceremony I created, called "The Outer Order Ritual of the Seven-Branched Candlestick." The ritual employs a diagram with planetary-colored candles placed thereon. 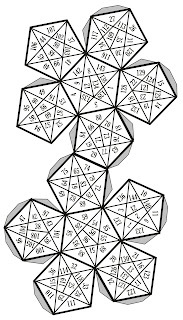 The heptagram used is the 7/3 heptagram, also called the acute heptagram or the great heptagram. The Golden Dawn describes it as the Star of Venus reflected from every fourth point. The planets are placed around the heptagram in the order of their apparent speed of movement in the heavens, along the unicursal line in the order of days of the week. 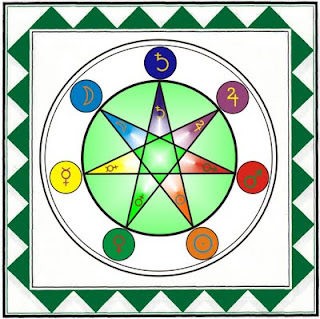 The Officers invoke the powers of the seven planets by lighting the colored candles on the heptagram diagram following the Hebrew order of the days of the week: 1) Hierophant: Sol. 2) Hegemon: Luna. 3) Hiereus: Mars. 4) Keryx: Mercury. 5) Stolistes: Jupiter. 6) Dadouchos: Venus. 7) Phylax: Saturn. For the purpose of this ceremony the Hierophant represents Sol (the direct light of illumination); Hegemon represents Luna (the reflected light); Hiereus represents Mars (power and severity); Keryx represents Mercury (communication); Stolistes represents Jupiter (water and expansion); Dadouchos represents Venus (fire and passion); and Phylax represents Saturn (limitation and darkness). At another point in the ritual the officers invoke the Sephirotic Powers associated with the seven Palaces of Assiah. 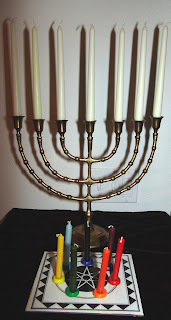 To do this, they each take one of the colored planetary candles and light one of the white candles of the Menorah following the Chaldean or Sephirothic order [the Lightning-flash order] of the Tree of Life: 1) Hierophant: Three Supernals. 2) Stolistes: Chesed. 3) Dadouchos: Geburah. 4) Hegemon: Tiphareth. 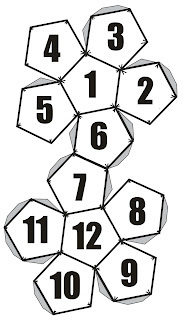 5) Phylax: Netzach. 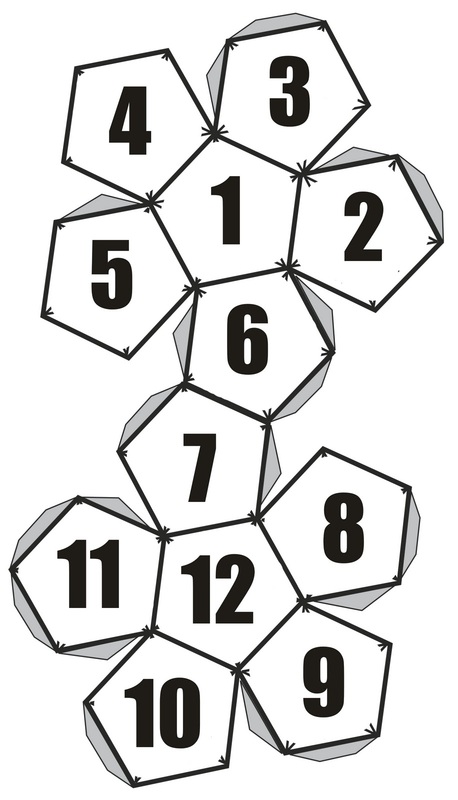 6) Keryx: Hod. 7) Hiereus: Yesod/Malkuth. 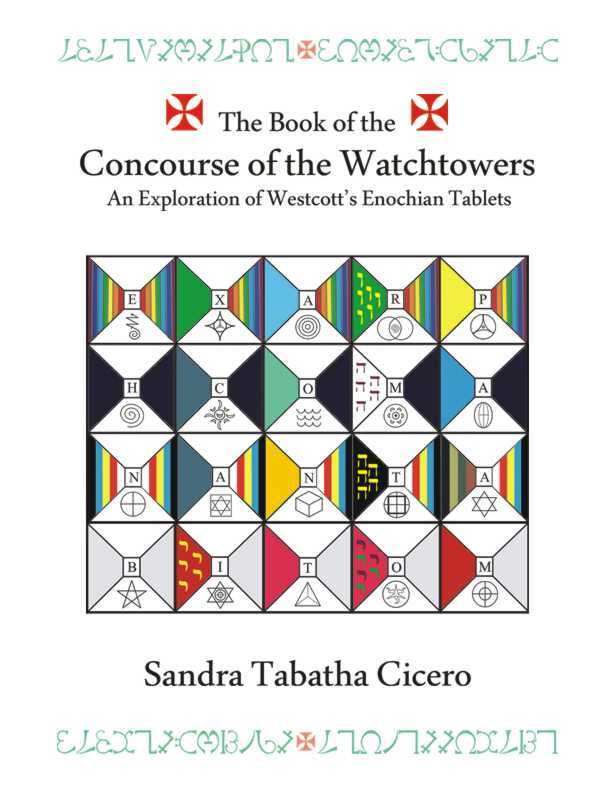 The officers chosen to represent the Sephirotic Powers of the Seven Palaces are as follows: the Hierophant represents the Three Supernals (the highest); Stolistes represents Chesed (water); Dadouchos represents Geburah (fire); Hegemon represents Tiphareth (the center, reflecting the Supernal Light); Phylax represents Netzach (the gateway of initiation); Keryx represents Hod (intellect, communication); and Hiereus represents Yesod/Malkuth (manifestation, matter). This arrangement also allows the 3 Middle Pillar Officers to occupy the Pillar of Balance. "He has loved and blessed the number seven more than all things under His throne."